Stress Urinary Incontinence (SUI) involves the leakage of urine that occurs when you cough, sneeze, lift, exercise or even bend over. These types of activities increase the pressure in the abdomen, forcing urine out of the bladder. It often results from weakness of the muscles supporting the bladder and urethra, including the pelvic floor muscles and the external sphincter muscle. SUI is not the same as Overactive Bladder (OAB) in which urine leakage occurs with a sudden, uncontrollable urge to urinate. However, many people experience both Overactive Bladder and Stress Urinary Incontinence. Stress Urinary Incontinence occurs in both men and women and can affect people of all ages. It is more common in women after pregnancy and childbirth, but there are many causes that contribute to its development, including smoking, obesity, heredity and previous surgeries. It is more common in men after certain surgeries, such as on the prostate. Stress Urinary Incontinence can be very limiting and will often keep men and women from participating in activities that they previously enjoyed. SUI keeps people from exercising and socializing with friends and family and has an impact financially, emotionally, socially and medically. Urinary incontinence and use of pads may also be a risk factor for urinary tract infections. It is important to know that Stress Urinary Incontinence is not a normal part of aging or a part of being a woman. It can be profoundly limiting and there are numerous treatments available. There are many causes of urinary incontinence in men and women other than Stress Urinary Incontinence, and it is important to determine if some other cause is behind your urine leakage. Asking about situations in which you might leak is very helpful in determining if you have SUI. Questions about other medical problems, previous surgeries, pregnancies and type of delivery, or any medications you may be taking can help in diagnosing the cause of your urine leakage. We often have patients maintain a bladder diary over several days which can help to pinpoint the types of incontinence they may be experiencing. A physical examination, including the bladder and urethra, may help to identify factors contributing to urinary incontinence. Demonstrating leakage during this exam can help to determine if you have SUI. We may also use a painless ultrasound to evaluate how well you are emptying your bladder. In some patients, a test of bladder function (called urodynamics) may be helpful in evaluating your SUI and in planning therapy. This test is most often needed in patients who may have other problems such as pelvic prolapse, neurologic disorders, or who have had a prior incontinence surgery. The initial therapy for Stress Urinary Incontinence is usually a program of exercises that help to strengthen the pelvic floor muscles. These exercises, often called Kegel exercises, may help to reduce or even eliminate Stress Urinary Incontinence. It may take several weeks before results are seen, and many people find they must gradually increase the duration and frequency of these exercises. You can discuss proper techniques for performing these exercises at your office visit. Some people find working with a specialized care provider called a pelvic floor physical therapist can help them to more successfully perform pelvic floor exercises. For some patients, special devices may be used when pelvic floor exercises have not worked but surgical therapy is not a good option. These are removed and replaced as needed to treat SUI. For patients who have not seen satisfactory improvement with more conservative therapies, surgery may be the right option. There are various procedures available and choosing the one that is right for you should be a carefully considered decision that you make in conjunction with your doctor. You should feel confident that you understand the risks and benefits associated with each procedure and that any questions you have are fully addressed. Slings are made from synthetic or biologic material and are placed to prevent movement of the urine tube (urethra) and bladder, allowing the muscles that keep you continent to function more normally. Today, these are the most common surgical therapies for SUI. Retropubic suspensions (sometimes called bladder neck suspensions) use sutures to attach the bladder neck or urethra to the tissues attached to the pubic bone. This surgery is not as common today as sling surgery for SUI. Urethral Bulking is a procedure in which a material is injected into the urine tube (urethra) to “bulk” it, partially closing the tube and making it easier for the muscles that control urine leakage to close the urethra completely. The recovery and need for anesthesia may be less than with other surgeries for SUI, though the long-term success rates are lower. Some patients may need repeat treatments to maintain any improvement. Stress Urinary Incontinence affects millions of men and women, often preventing them from fully participating in many of the activities that make life so enjoyable. Urinary incontinence is always abnormal and should not be considered a normal part of aging or an expected part of being a woman. For those who are bothered by their incontinence or have limited their activities in response to their urine leakage, there are many treatment options that are available. 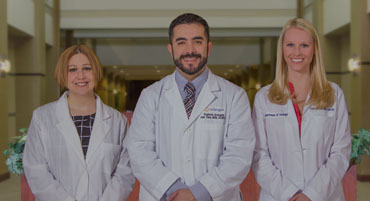 At The OAB Clinic at Erlanger East, we have urologists who are specifically trained the care of men and women with Stress Urinary Incontinence. We have the only urologists in the region who have completed fellowship training that specializes in incontinence. We have the experience, expertise and technology to care for even the most complicated patients, including those who have failed prior attempts at therapy or who have suffered a complication from a prior therapy. Do you suffer from stress urinary incontinence in Chattanooga, Cleveland, and East Ridge, TN? To learn more about your options, fill out our contact form to schedule a consultation.